Are you a runner who is looking for the next best way to improve and overall increase your running distance? If you answered with a resounding “yes,” then we are here to help you out! Granted, running the same number of miles each day can be reassuring since you know exactly what to expect from it, in terms of how long and how far you go. However, it can get old pretty quickly, and so eventually, you might even end up getting bored from doing the same routine. That said, this article will help you figure out ways to increase your mileage, thereby challenging you to not only improve endurance, but also become a better runner. Without further ado, let us get started! A good pair of running shoes. While this seems like a no-brainer, having solid running shoes will make your running experience much more comfortable, not to forget less likely to get injuries. Depending on your foot’s arch and shoe size, there are a variety of different pairs to choose from, and choosing the right one will benefit you in the long run…literally! For our best picks for running shoes, check out our article here. A trail or road. Again, this is an obvious, but it is essential to find a good running path on which you can work out. This may or may not be merely an extension of your usual path, but in any case, try to find one which is, on average, an extra one to two miles to start out with. Once you have gotten comfortable running those extra miles, you can continue to increase little by little each time. On the other hand, if you are looking for a different trail to run on, you will first need to figure out just what kind of path you want. For instance, you might want to try running on dirt trails for a change in scenery, or along the beach sand if you are looking for a challenge. A running watch. For a good way to log in your time and distance, a watch will do just that. Lightweight and portable, this item is simple to use while also calculating complex numbers for you to refer to afterwards. 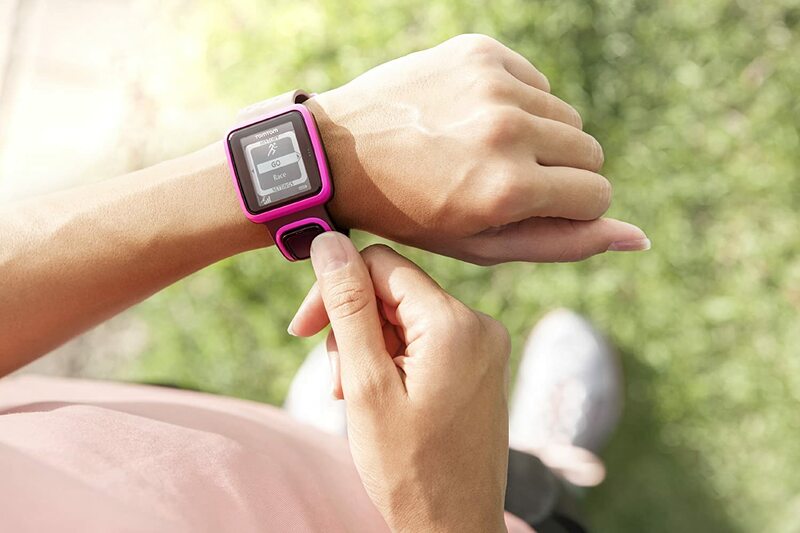 Having a watch helps you track your mileage while also helps you to push yourself to go further than the last time. Running partner (optional). If you are having trouble figuring out good paths to run on, then it might benefit you to have someone else who knows places you might not know of. Better yet, having a running partner can help you get better at running faster, especially if both of you have the same level of running experience. A foam roller. When it comes to being a better long-distance runner, having a good post-workout regime is just as important as that during the run itself. That said, a foam roller does the trick, for it loosens any tight muscles in your legs and body in order to prevent them from becoming sore the next day, as well as speeding up recovery to get you running again sooner than later. Warm up. No good run ever starts out without a good warm up: taking the time to jog around activates your muscles to prepare you for the actual workout, which then prevents any pulled muscles or tightness. Keep yourself loose and warm, not to forget ready to run! Run slower than usual. At first, you might be thinking that it would benefit you by running at your usual pace, even faster, when it comes to increasing distance. However, doing so will cause you to burn out faster, as well as discourage you from doing it again next time. While at first it might be somewhat inhibiting, decrease your speed by 10 percent, aiming for a conversational pace throughout (i.e. speed in which you can talk comfortably). Increase your mileage by no more than 10 percent each week. Perhaps you are feeling good after a few days of running an extra one to two miles. While you might want to start adding more distance to your work outs, it is best to wait until the end of the week to start it. This is to prevent you from going out too fast, which might create injuries, even burnout. Additionally, it is important to increase the mileage by no more than 10 percent weekly. For instance, if you normally run 10 miles, then you can add on an extra mile to the following week to do. Again, this is to prevent you from tiring out quickly and prevent you from getting hurt. Add strengthen training and stretching. You might think that running alone will help you become a better runner. In fact, what helps you get better is the supplementary activities you do when you are not running: workouts such as lifting weights and stretching out your muscles can make all the difference by creating resistance to push through and condition you to run longer and faster. Change up your runs from time to time. You have been running the same path (albeit with increased mileage) over the last few weeks, and you are feeling pretty good about yourself. However, just like with the exact same mileage you had performed each week, it is simple to fall into complacency with the same-old running path. Hence, step it up another notch by switching to a different trail to run on during your next workout. Push yourself by trying some dirt trails or running on the beach sand; you might even be brave enough to go for some hills! In any case, it is always a good idea to challenge yourself, as means of becoming an endurance runner. Warm down. Just like with warm ups, it is important to cool off after your run. Taking extra time to jog slowly and stretch relaxes your muscles since they had just gone through some intense workout. For instance, spend an extra five minutes with a jog at 50 percent of your maximum running ability; whether it is an extra lap around the block or another quarter of a mile near your home, doing so will help your muscles cool down properly and for you to feel less sore the following day after running. All in all, increasing the number of miles you normally run serves not only to improve your endurance, but it also challenges you to become an overall better runner. It can be simply a matter of tacking on an extra one or two miles to your usual workout routine, or it can be a completely different path outside your comfort level. Whatever case it may be, running more leads to better performance. Enjoyed this article? Share and comment!